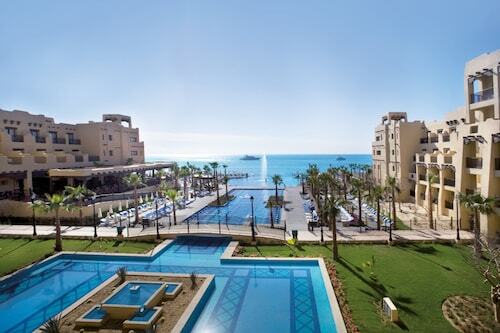 Buy a Cabo San Lucas holiday package on Expedia today! This is one of the simplest ways of saving cash and time for your awesome getaway. Book your package today on Expedia and save up to $200*! It's that simple! You can pick from more than 400 partner airlines and 321 000 worldwide properties via our global database of lodgings and flights. Fly with who you want, stay wherever you want — now that's the ideal holiday! You can delay your holiday bookings with us because we do not charge cancellation fees for almost all of our reservations. We've got all the sightseeing info you require for your upcoming trip to Cabo San Lucas. Grab your travel diary and get ready to start padding out your itinerary. If you'd like to knock a few strokes off your game, then head over to Cabo San Lucas Country Club. Grab some clubs, work on your technique and chat to the locals at the 19th hole. Travellers have an abundance of choice in and around this destination. Want to add some greater meaning to your holiday? Make the journey to Misione de Nuestra Senora de Pilar. No matter your spiritual beliefs, it's a fabulous place to observe and educate yourself about the local religion. Still got some time on your hands? Ditch the history journals! Let the past spring to life at Museo de las Californias. Holidays are pretty amazing to start with. But throwing yourself into the wonderful experiences on offer sure does make them better! If you'd rather take a look at the full range of activities, head to the Cabo San Lucas things to do page. 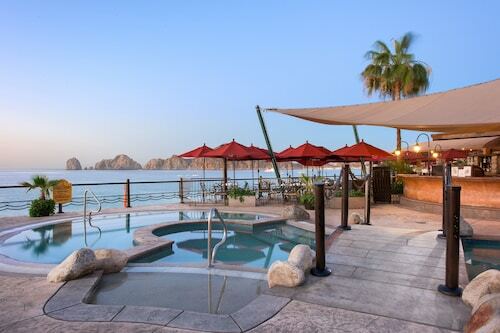 Sadly, it can be hard to find accommodations in central Cabo San Lucas. But, if you're willing to venture just a bit further out, there are 140 properties. Expedia has cheap holidays and luxury getaways to suit all travellers. Like to know what our recommendations are? 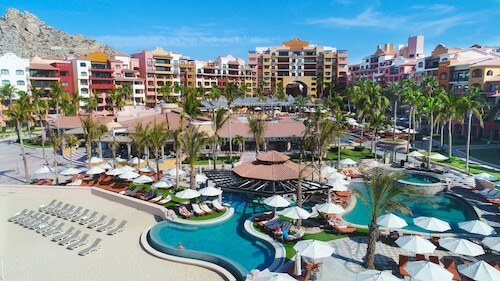 Take a look at The Residences at Hacienda Encantada (Carretera Transpeninsular Km 7.3) and the Hacienda Beach Club & Residences (El Medano Ejidal). 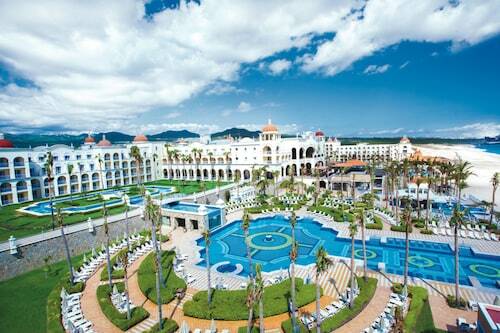 All set for your trip to Cabo San Lucas? Got those plane tickets booked? You'll be welcomed by a crowd of friendly faces at Los Cabos International Airport (SJD). It's located 20 miles (32 km) northeast of the centre of town. 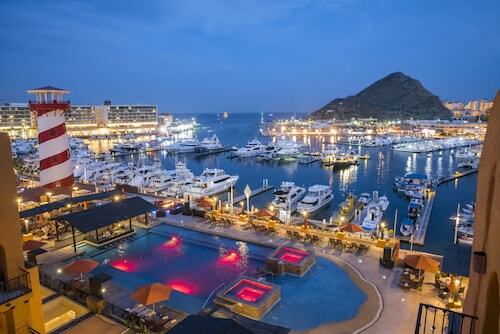 Enjoy world-class golf courses, luxury yachting and great fishing in this harbour in the Sea of Cortez. Sitting at the point where the Sea of Cortez meets the Pacific Ocean, this beautiful natural rock formation is one of Los Cabos’ most iconic images. Have fun and learn all about these beautiful sea mammals at the Cabo Dolphins marine centre. Stroll along this secluded beach and admire the majestic El Arco rock formation. Mon., 17 Jun. - Sun., 23 Jun. Brisbane - Los Cabos Intl. The staff all around is super friendly! Hotel has easy access to the beach & Pacific Ocean. The resort was beautiful. Loved the pools and activities. The drinks were good, could’ve been a little stronger. The food was not good at all unfortunately. Everything else was great. The staff was very nice and very fun! 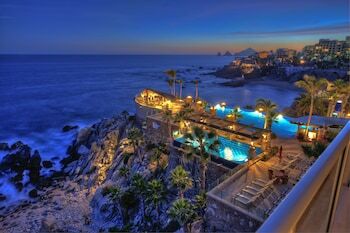 I've been to cabo many times and Pueblo Bonito Sunset was hands down the best place I've stayed. Fri., 30 Aug. - Tue., 1 Oct. Sat., 29 Jun. - Thu., 4 Jul. Wed., 23 Oct. - Thu., 24 Oct.
Wed., 12 Jun. - Wed., 12 Jun. Thu., 30 May - Thu., 4 Jul. Thu., 10 Oct. - Sun., 13 Oct. Mon., 29 Jul. - Fri., 2 Aug. 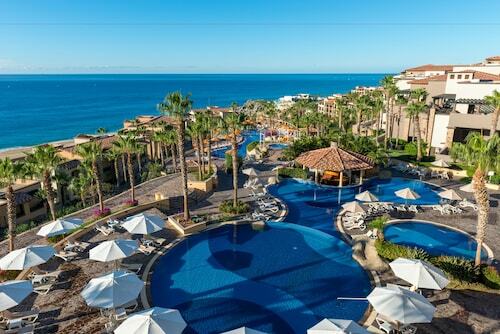 Looking for Flights, Hotels, Car Hire and Holiday Rentals in Cabo San Lucas?